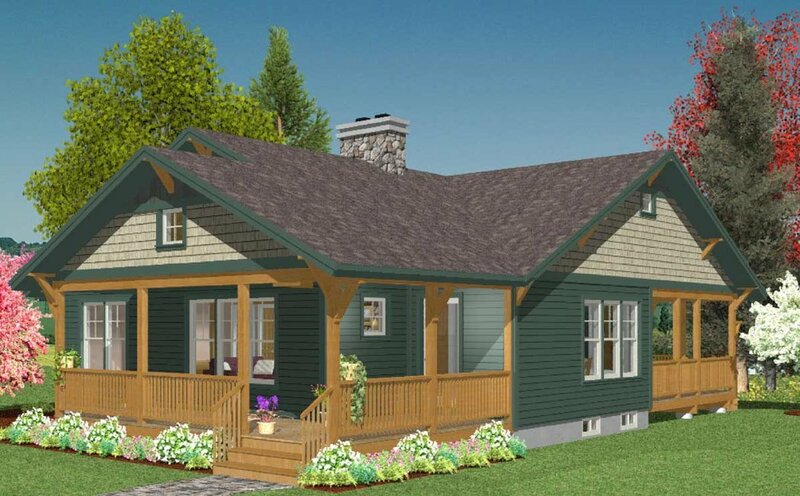 The Prairie's hand-crafted style and detailing with decorative exterior brackets and wraparound porches give this home a unique character. 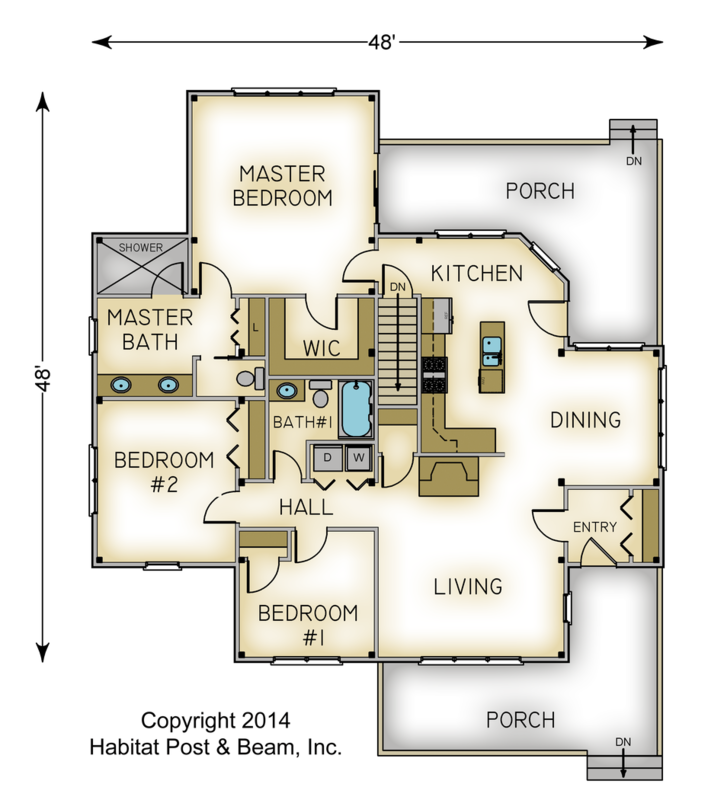 The beautiful beamed interior and the efficient floor plan create a comfortable and relaxing home. 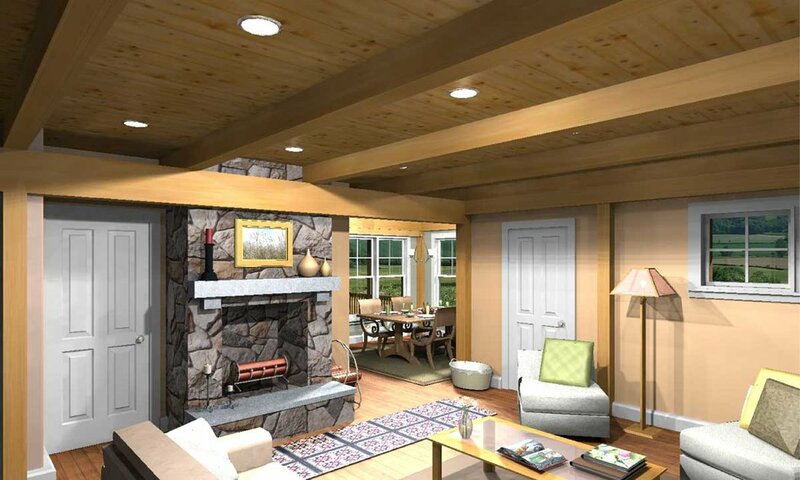 Package Price: $177,894 as specified below (from $158,828 to $215,474 depending on framing options). 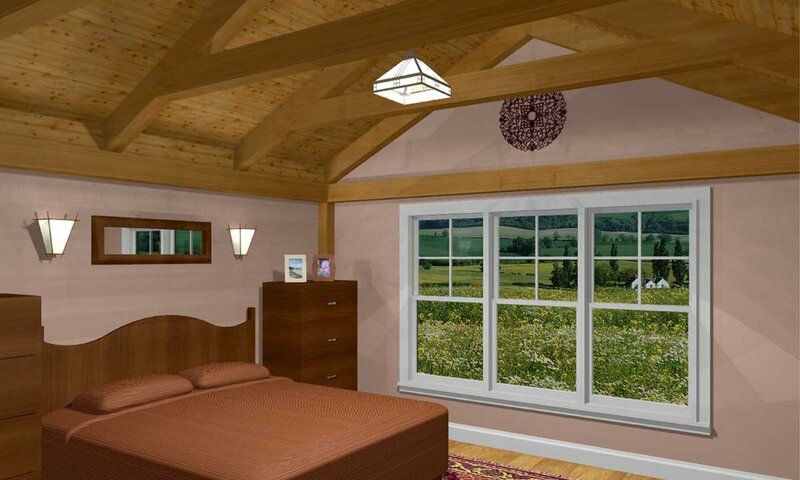 The standard price includes our Full Exposure Wall System, our Beamed Roof System over the master bedroom, and our Liner and Accent Beam Roof System over the remainder. The entry porch is our Liner Porch System with a flat ceiling.